Reminding us of our own fragile mortality, a large, bright comet just streaked across the sky and straight into our nearest neighboring star. You will absolutely believe what happened next because it has happened to you in a nightmare, admit it. 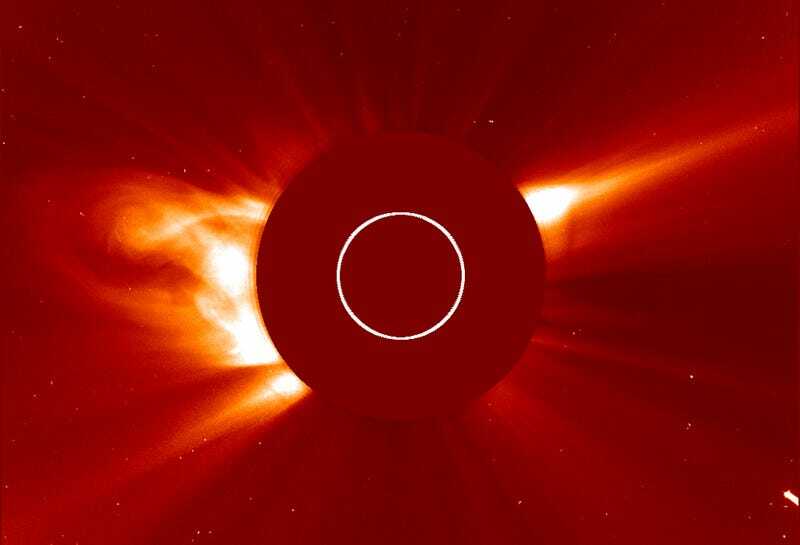 On August 3rd and 4th, the European Space Agency and NASA’s Solar and Heliospheric Observatory witnessed a Kreutz sungrazer comet plunge recklessly toward the 10,000-degree ball of plasma that sustains you and everyone you love. The comet was soon torn apart by the intense heat and gravitational forces of the Sun, whose disk is represented by a white circle in the gif above. Kreutz sungrazers are chunks of ice and rock that skirt incredibly close to the Sun during their ~800 year orbit. While tiny members of this cometary family are fried every day, it’s rare to see a big one go out in a blaze of glory like this. According to astronomer Karl Battams, last week’s Kreutz comet suicide was one of the brightest we’ve seen in decades, achieving a velocity of 1.3 million miles per hour before it was extinguished. In case you were wondering, the sun is being blotted out by a coronagraph so that its light does not swamp out the action taking place around the periphery. At least, that’s NASA’s story. I’m pretty sure it’s to prevent us all from losing our minds. 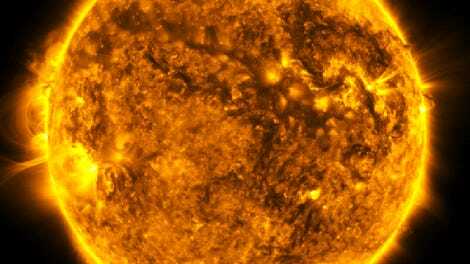 What Would Happen if a Massive Comet Struck the Sun?